You don’t need to install any third party apps to annotate your PDFs, Mac’s PDF reader can do it all for you and here is how to do it. 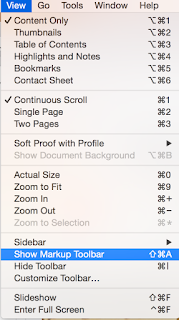 Open your PDF then click on ‘View’ in Mac’s menu bar and make sure you select ’Show markup toolbar’. A tool bar will show up in your PDF to help you annotate, comment, draw, add lines and shapes on your PDF. 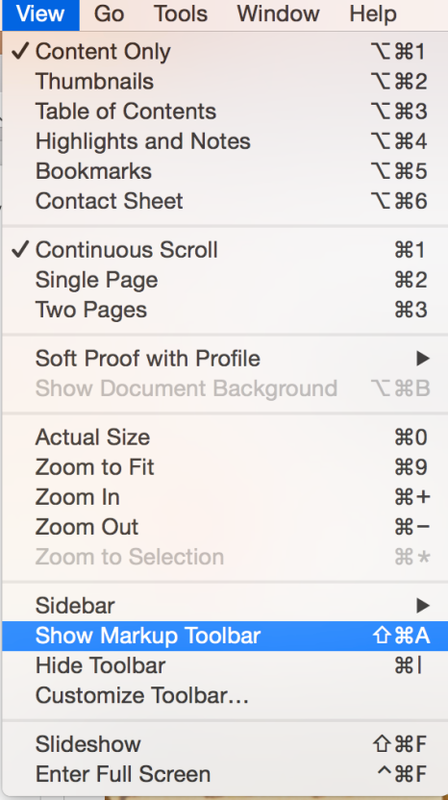 You can also insert your signature into PDFs on your Mac. From the same toolbar that appears in your PDF as is explained above, click on the sign shape as shown below and choose whether you want to use trackpad to sign your name or use your camera.